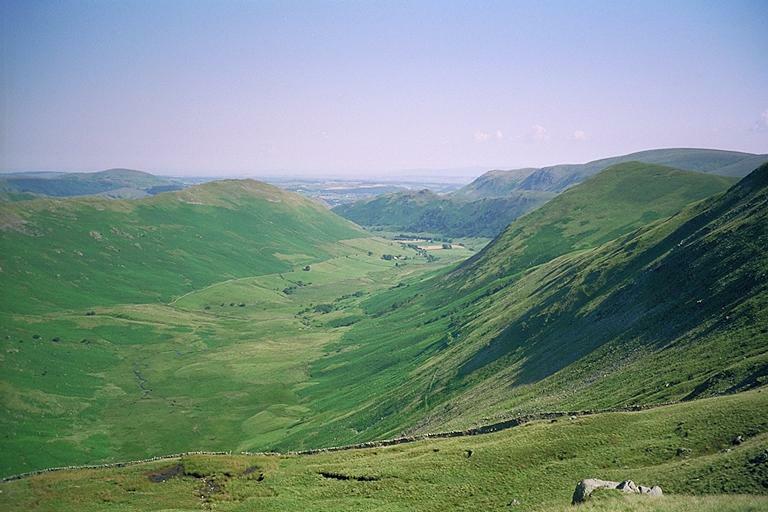 Bannerdale is enclosed by The Nab on the right and Beda Fell on the left. On the left beyond Beda Fell is High Dodd, a satellite of Place Fell. Beyond the buildings at Dale Head is the lesser eminence of Pikeawassa. Hallin Fell is hidden behind Beda Fell. Beyond The Nab, Loadpot Hill runs down to Bonscale Pike. Smaller version of this picture.